Intelligent and articulate, the Creature relates his first days of life, living alone in the wilderness and finding that people were afraid of and hated him due to his appearance, which led him to fear and hide from them. While living in an abandoned structure connected to a cottage, he grew fond of the poor family living there, and discreetly collected firewood for them. Secretly living among the family for months, the Creature learned to speak by listening to them and he taught himself to read after discovering a lost satchel of books in the woods. When he saw his reflection in a pool, he realized his physical appearance was hideous, and it terrified him as it terrifies normal humans. Nevertheless, he approached the family in hopes of becoming their friend. Initially he was able to befriend the blind father figure of the family, but the rest of them were frightened and they all fled their home, resulting in the Creature leaving, disappointed. He traveled to Victor's family estate using details from Victor's journal, murdered William, and framed Justine. 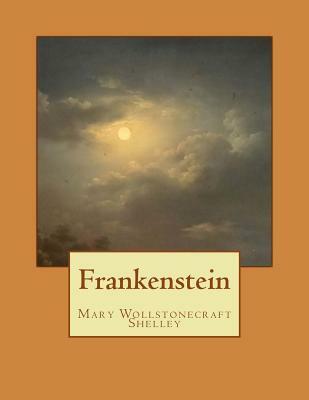 Mary Wollstonecraft Shelley was an English novelist, short story writer, dramatist, essayist, biographer, and travel writer, best known for her Gothic novel Frankenstein: or, The Modern Prometheus (1818).